Recently my wife and I took a really fun vacation to California. We went to to my cousin's graduation in San Luis Obispo, then made our way to Disneyland for a few days, and on up through the wine country and Redwoods. It was great. 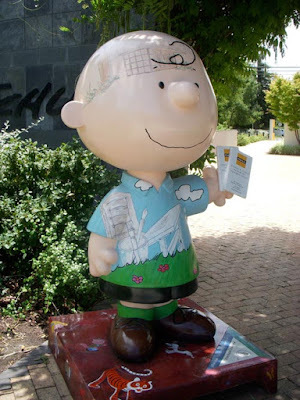 One of the highlights for both my wife and me was a quick, unexpected stop to the Charles M. Schulz Museum in Santa Rosa. If you ever find yourself driving through Santa Rosa and the wine country I highly recommend stopping here for a couple of hours (regrettably, we only had one hour to spend). 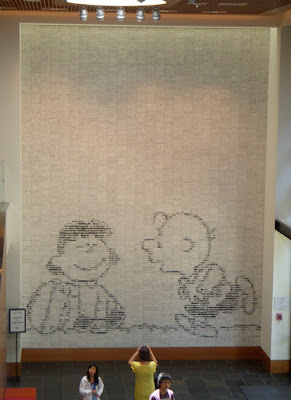 One of my favorite pieces in this museum is a wall filled with thousands of Schulz's strips. Below is the wall pictured from afar. 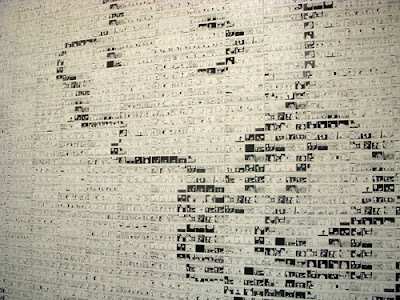 The wall was designed by artist, Yoshiteru Otani. Luckily the piece is displayed in the "camera okay" section of the museum. 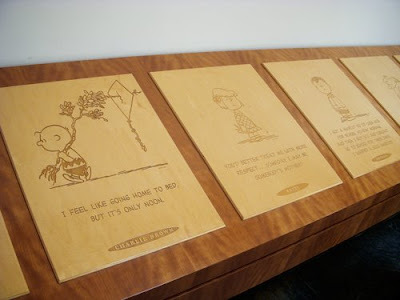 Other highlights include multiple original sketches and strips inked by Sparky himself, as well as memorabilia from his life, and a nearly-exact replica of his studio (which, I believe, features his actual drawing table). You can find more information at the museum's website: www.schulzmuseum.org. 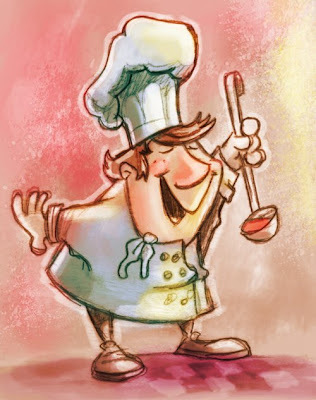 Yes, that's right, a new portfolio website. I'm in the very beginning stages right now, and I plan on taking my time to make sure the concept is fully discovered and development is top notch. So, currently I'm only working with pencil on paper (and occasionally the scanner and Photoshop to resize/place images). 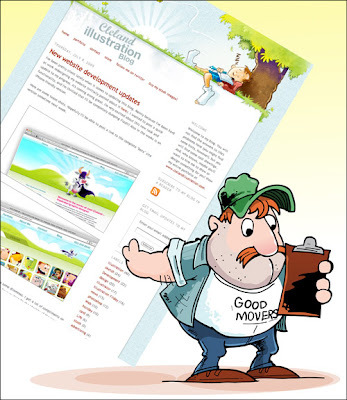 I found some great website sketch comps at www.960.gs. Below are initial sketches in my discovery process. I haven't nailed down a look quite yet, but the one I'm developing here looks quite promising. There's going to be much greater emphasis on call to action, and highlighting/showcasing my capabilities. I hope to have progress updates here in the near future. This is going to be fun! Here's a quick sketch. I like the style that's progressing here, but the line quality isn't good enough to spend more time on. I'll probably tighten up the sketch and continue some other time. I really like the character.